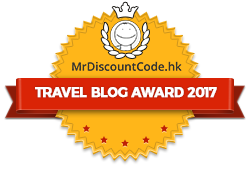 It is located on the top right-handed corner of the webpage. I have made some screen shots below for your easy reference. Please check the email you have just provided. 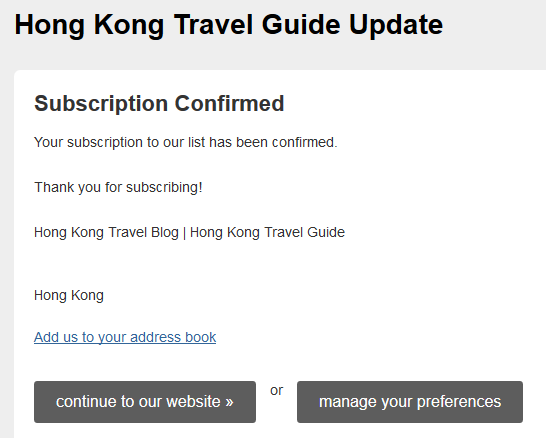 You’ll receive an email from Hong Kong Travel Blog| Hong Kong Travel Guide which ask you to confirm the subscription. Simply click “Yes, subscribe me to this list”. 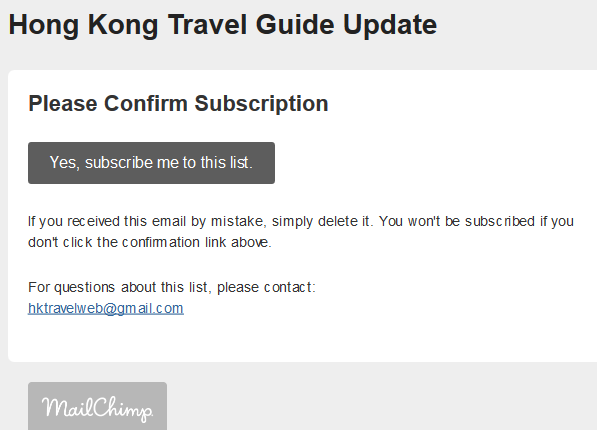 MailChimp is the platform that I currently use to manage the subscription. Don’t worry, you’re not receiving emails from a stranger. Okay, two more clicks. 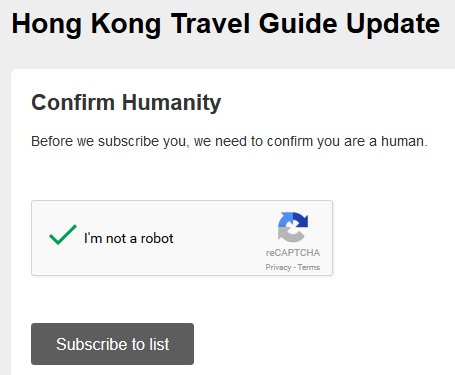 Check the box next to “I’m not a robot”, it then becomes a “green tick”. Now you can click “Subscribe to list”. 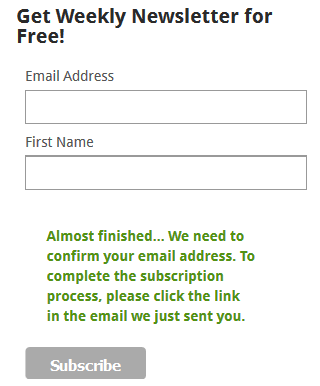 Your subscription is now confirmed and you will see this page. You can add us to your address book, manage your preferences or continue to our website. 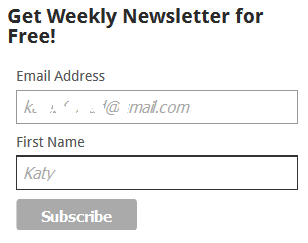 I’d recommend you to add us to your contact so as to avoid the weekly update email falling into your junk mail. So, what will you get after the subscription? 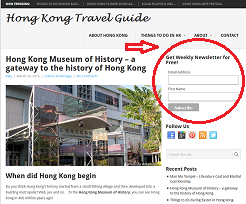 Information about Hong Kong Travel will be delivered to your inbox automatically. You will receive an excerpt of my new post weekly. 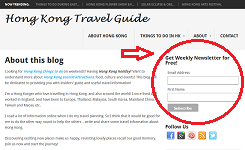 Just a few clicks and you can sit back and receive Hong Kong travel ideas every week. 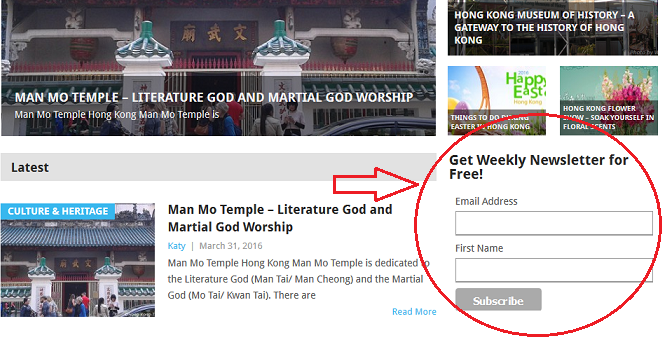 Thank you for reading this post, and, subscribe now!